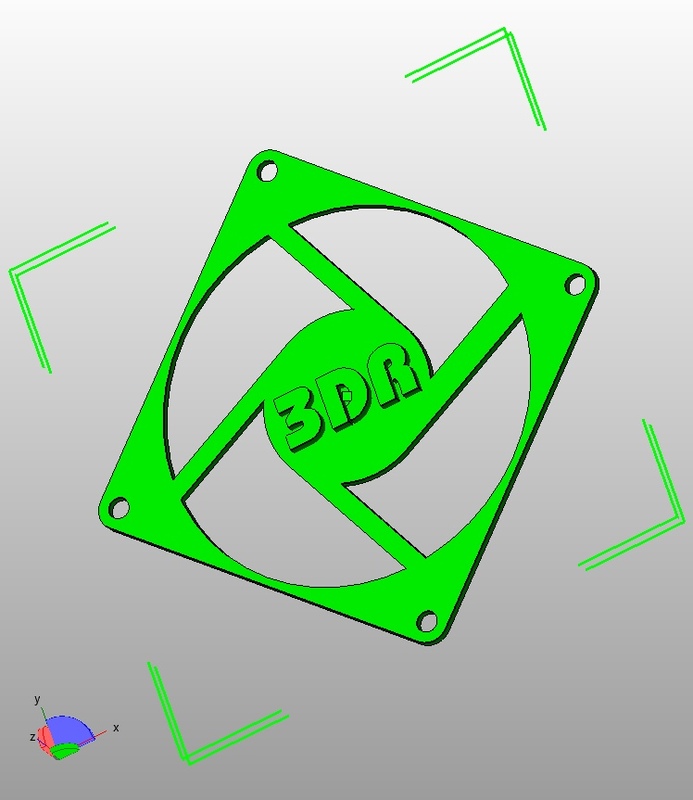 This post sees the release of my 3DR Delta printer design. I know a lot of you have been asking for it. I had planned to do another monster post on full 3DR assembly, but as documentation is taking much more time to get completed, instead of delaying the release any further I thought it best to do a series of Blog posts to show assembly, setup, calibration, and firmware config in stages. 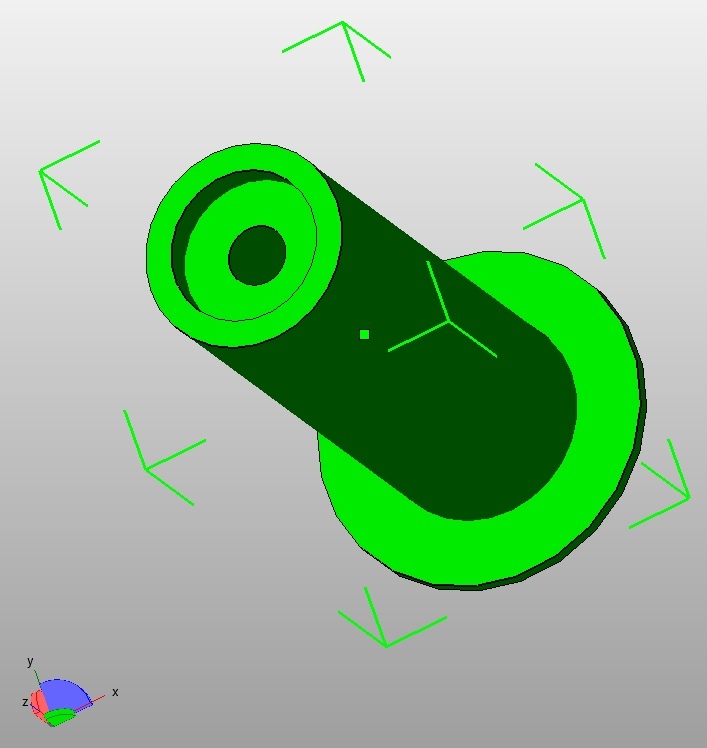 This post will be Part 1 - Release files, print some plastic parts and source other materials. 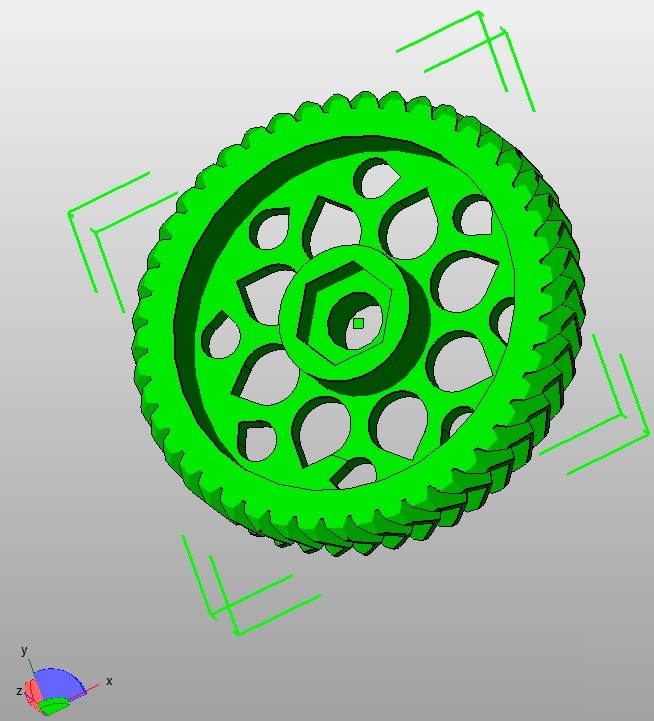 In future posts we will look at the following as a guide to the whole process of building and setup of a 3D printer. Link > Part 2 looks at preparation of parts and starting assembly of the 3D printer and extruder. 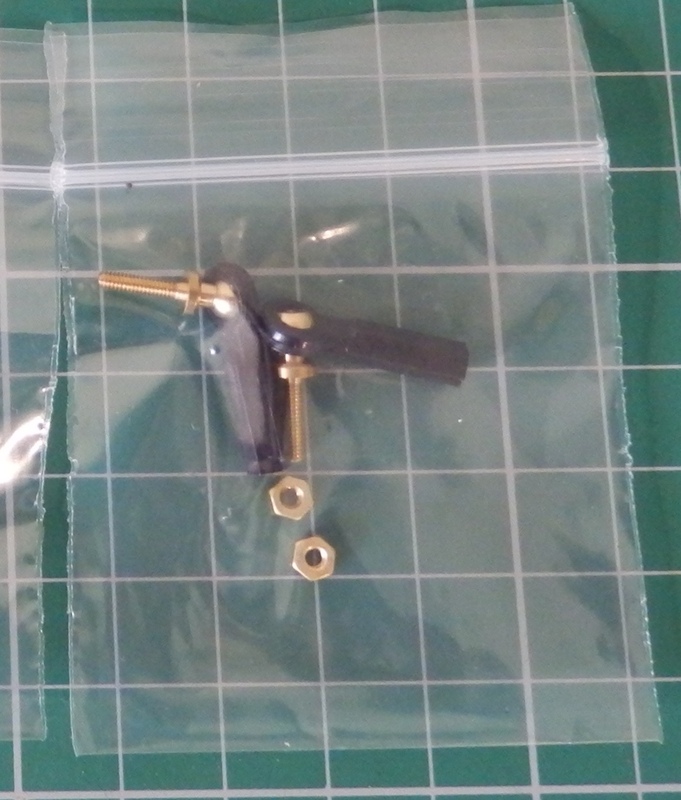 Link > Part 3 tackles the final machine assembly, hot-end, electronics setup, and wiring. Link > Part 4 gets to grips with the firmware, setup, calibration and first movements of the Printer. Part 5 will see us setting up Slic3r with 3DR, use some test parts to level our bed and have some 3D Printing Fun! 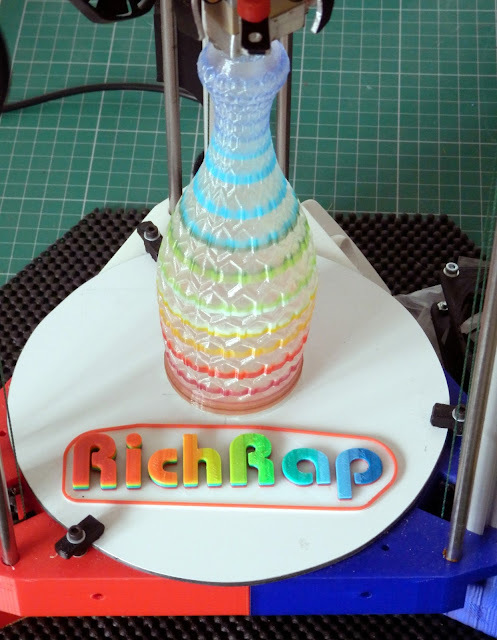 If you missed my Intro video last month about 3DR, take a look at the video below, I explain some of the reasons I designed this printer. 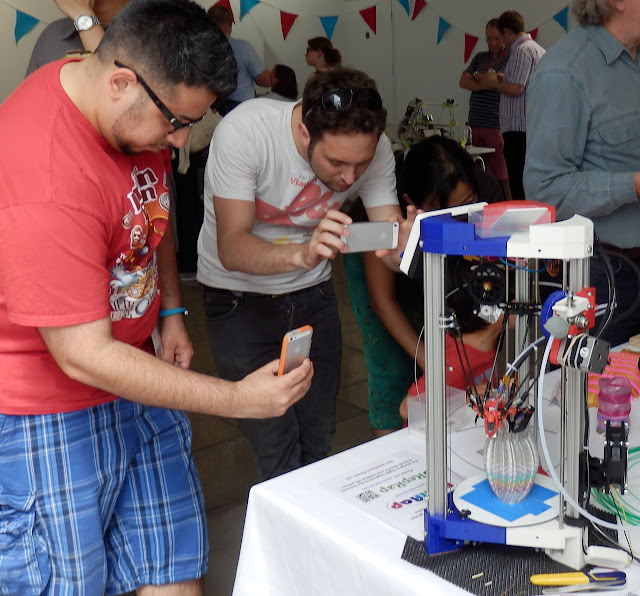 A really big thank you goes out to the faberdashery team who kindly offered me space on their stand to show off 3DR, we had a great day and a lot of fun! 3DR attracted a lot of attention for the entire Maker-Faire day, much more than I expected. It was also great to meet and talk to so many of you who follow my work, read my blog and were also inspired to do something or even start businesses in this great booming industry, thank you all, it really made me very happy. 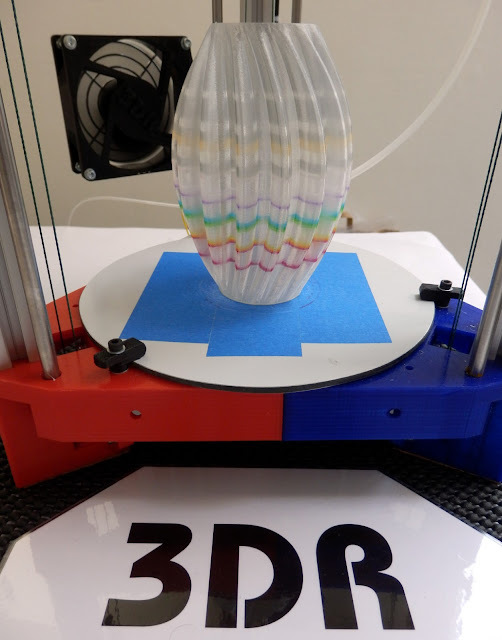 In past years I have done many different 3D print colour mixing developments, so for the Maker-Faire I had the very British Red,White and Blue 3DR setup with a dual bowden fed extruder mixing Hot-End Nozzle, allowing some nice looking prints to be made during the day. 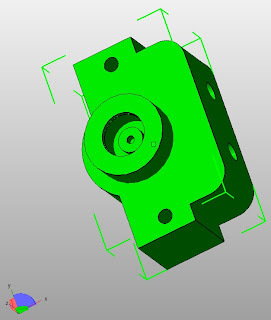 Extruders and the blends of filament feed are controlled in Gcode, still experimental at the moment with this two channel and a new four channel fed bowden version, still some rather complex mixing control to get sorted, but looking very promising! Here are a few photo's of some of the objects we printed using the fine filament faberdashery provided to all exhibitors during the faire. 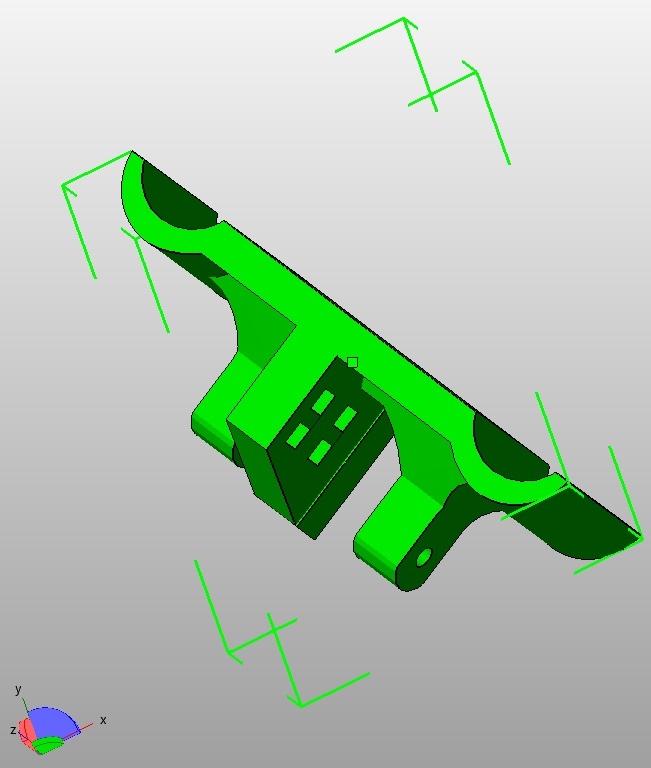 It's a fast, accurate, and quiet printer, I hope you like it and decide to build one. This was a popular one - the colours mix between clear at the bottom, bands of increasing rainbow and gold eventually fading into silver. - Print time of 67mins / 0.125mm layers @ 105mm/sec 0.3mm mixing nozzle. 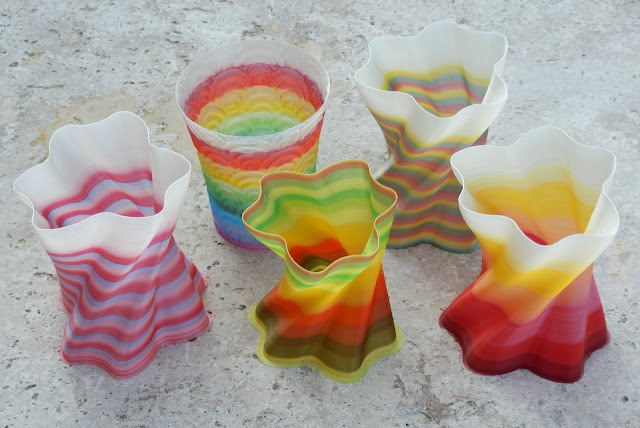 A Joris Weekly cup (Nr22) printed in Bling Bling Gold, mixed with various rainbow colours. A collection of other prints I did just before the Maker-Faire, and one very important thing to point out here, this Printer is not just for Pots and Vases! it was just a lot quicker to test out the Gcode mixing settings with a whole load of different single wall printed objects. This printer can print anything my MendelMax can and at better quality and speed. 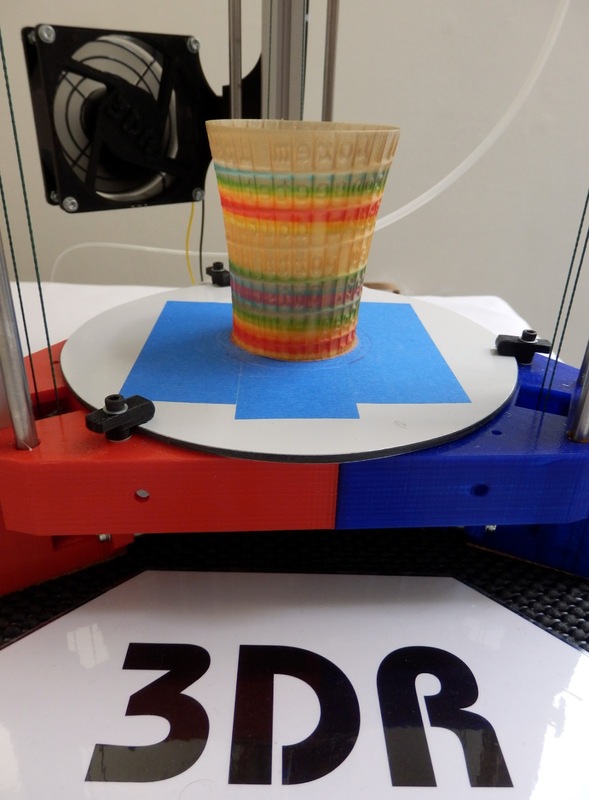 I had a lot of people at the Maker-Faire ask if Delta's are better for printing round or organic objects. 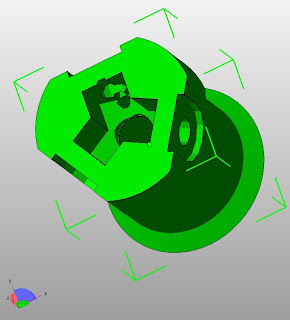 I would have to say not specifically, it's simply a different way to position the printing head in 3D space. 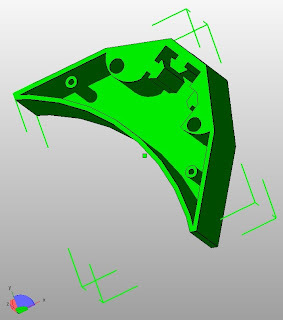 Delta's can move everything about much faster, so have less chance of ooze or print defects, and you can 'lift' the nozzle a lot on each move because Z is as fast as all other axis (unlike most other 3D printers, that tend to have a slower Z drive) to ensure parts do not get knocked off. 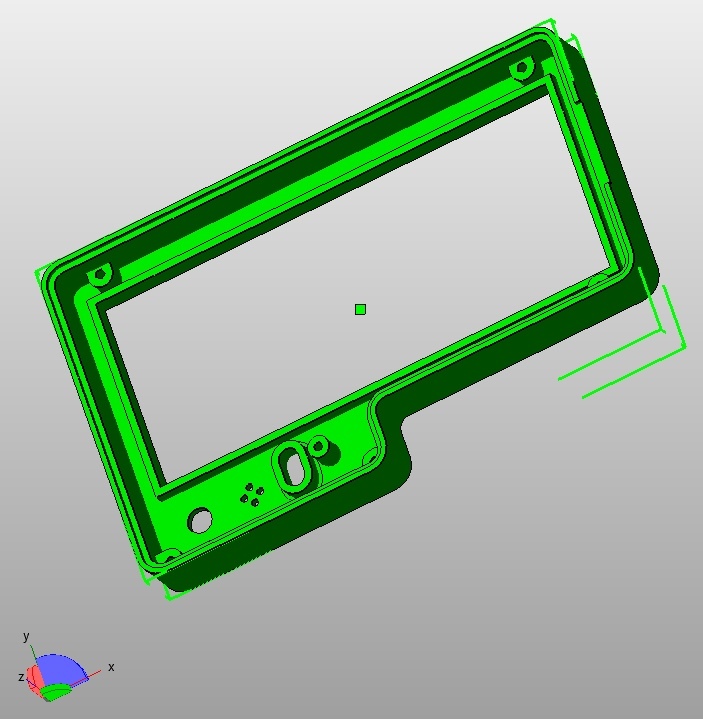 For me Delta's are a natural choice to get things printing faster and ensuring a much better Z axis alignment on parts, so for now I'm developing more Delta printers and improving whatever I can. 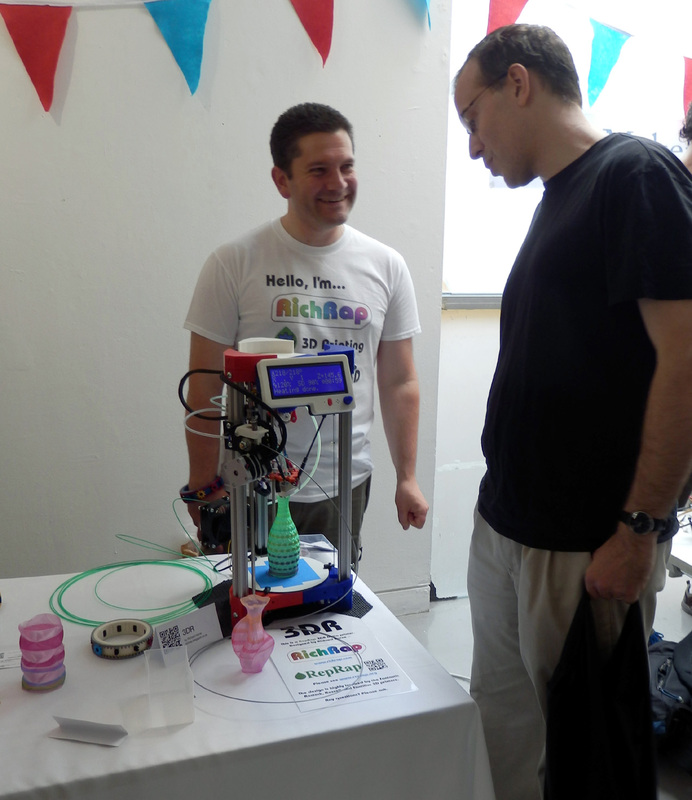 So much more I could post about the Maker-Faire but many other people have already covered it well. It was a great experience. 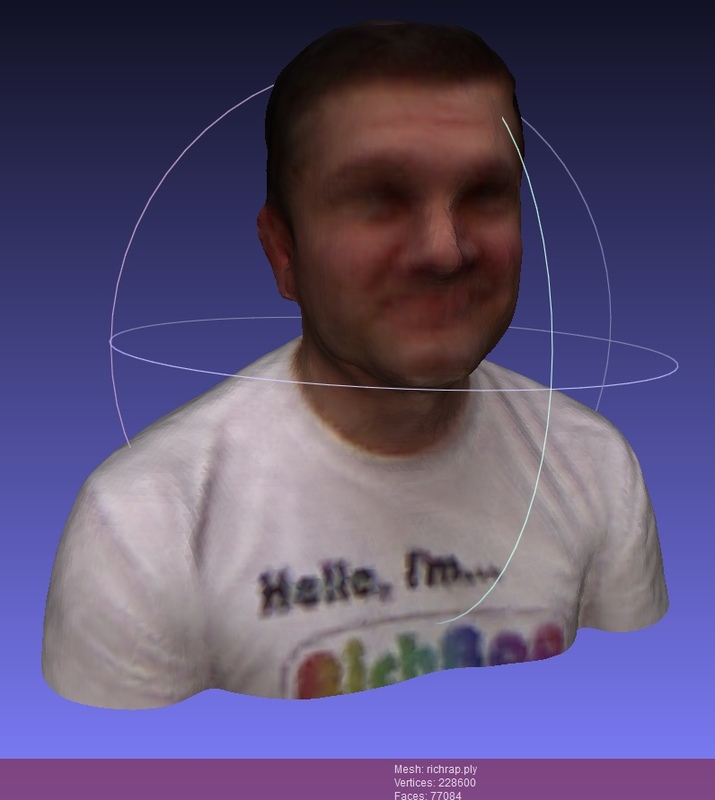 It was also the first time I managed to get 3D scanned by the team at Thingmaker. I ordered and paid £35 for a full colour print, and a few weeks later this little mini-me turned up! This License is not greatly restrictive at all, so please don't forget to attribute my work and acknowledge the work by others that this is built on. 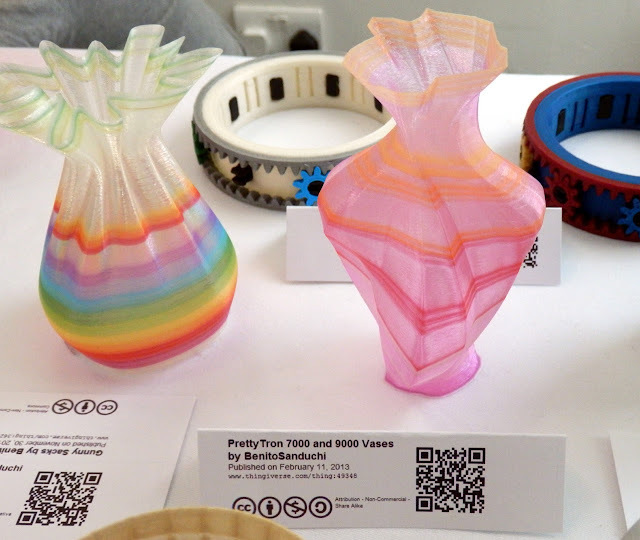 Many people and projects have provided inspiration for this printer design. 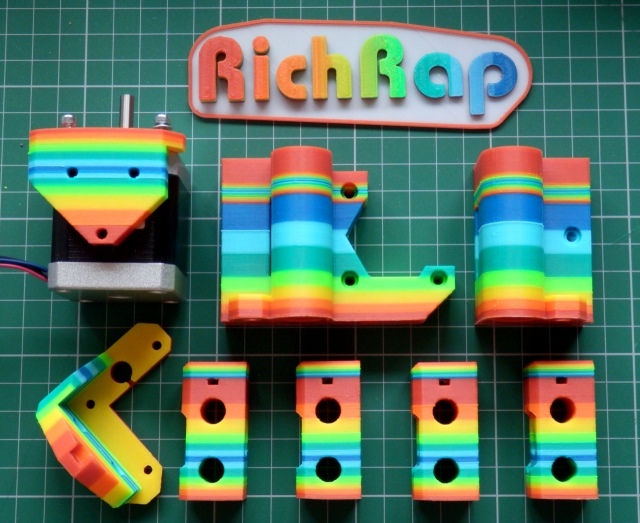 I would like to thank everyone working on RepRap projects the world over. 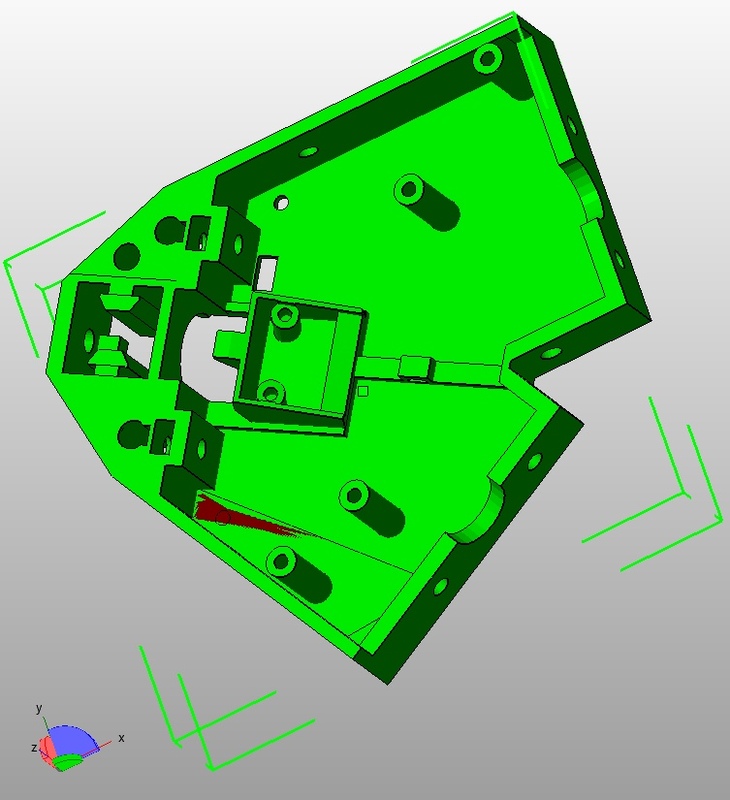 Special thanks to - Johann C. Rocholl for all the great work on Delta printers and firmware. 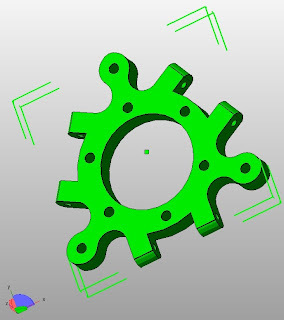 Sublime for the fantastic Tantillus printer using Spectra fishing line as the drive component and the various other great parts and designs used in the construction of this Printer. I hope this work has been of some use to you, if you wish to say hello or even donate towards further developments please see the left hand section of my Blog. Please note - All images, photo', video's and drawings on this blog, on external sites and social media resources are copyright of Richard Horne (RichRap) and are not covered under the Creative commons License detailed above, if you want to use an image, video or drawing, please get in contact, in most situations I'll be very delighted to help you." 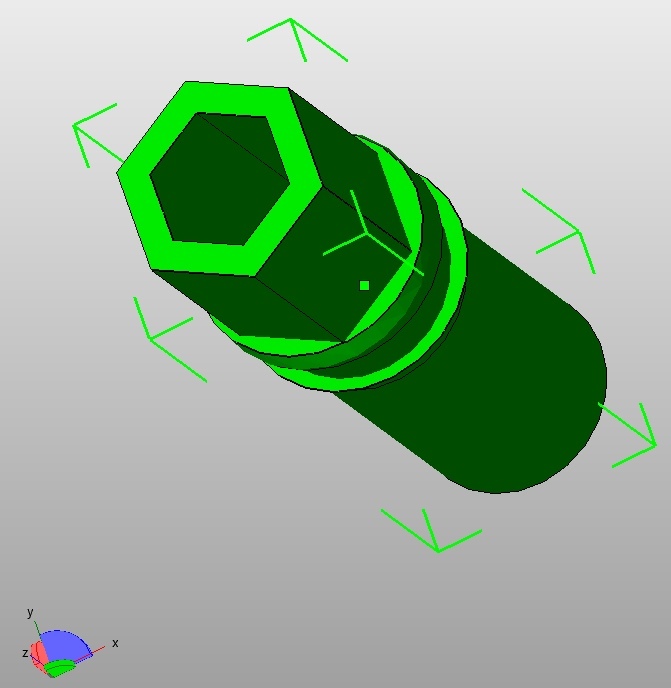 The released model files, design source in Sketchup format, images and other helpful stuff are all now in a Github repository. 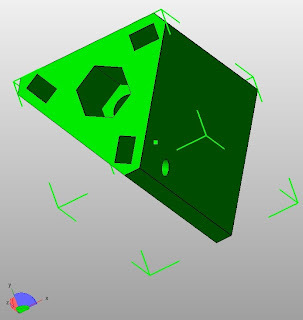 I'm using the great Githubiverse template by Gary Hodgson for the release and presentation of the 3DR files and to keep them updated as the design may evolve in the future. 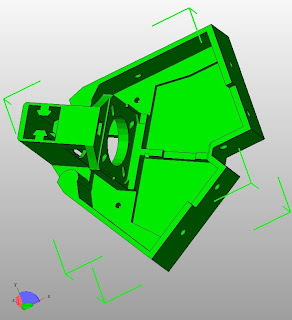 3DR uses a simple set of 3D printed parts to form the main structure of the machine. All parts are fine printed in PLA, but you can use ABS if you prefer. 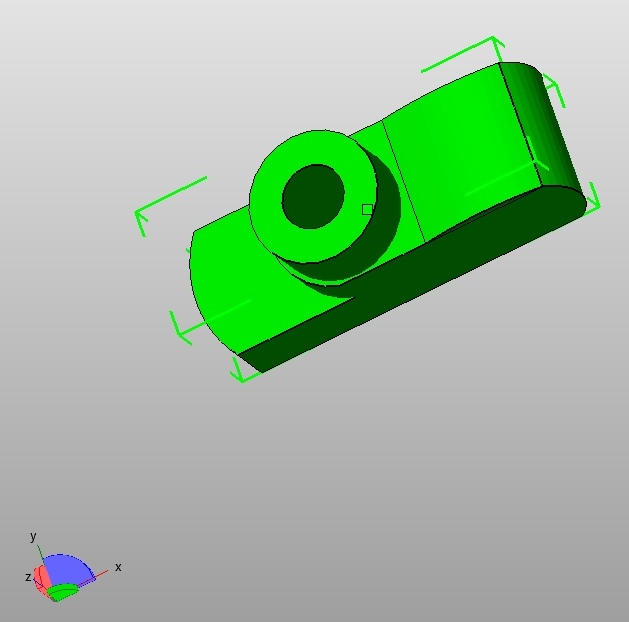 You will need to print our acquire a set... - If you get stuck, give me a shout. 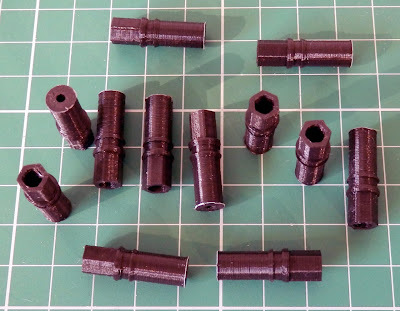 I would recommend printing the following parts with 30% honeycomb infill, two perimeters, ideally with a 0.4mm nozzle and 0.25mm or lower layers. 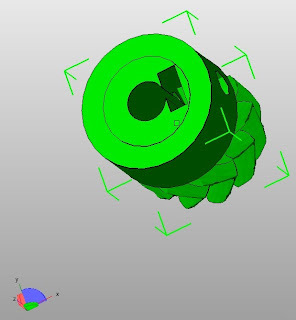 And also the following parts with 35% honeycomb infill, two perimeters, ideally with a 0.4mm nozzle and 0.15mm or lower layers. If you use other types of TRXX style rods, you may not need these. The Gears are the Triffid Hunter design, you can use non herringbone if you prefer, or other variants. 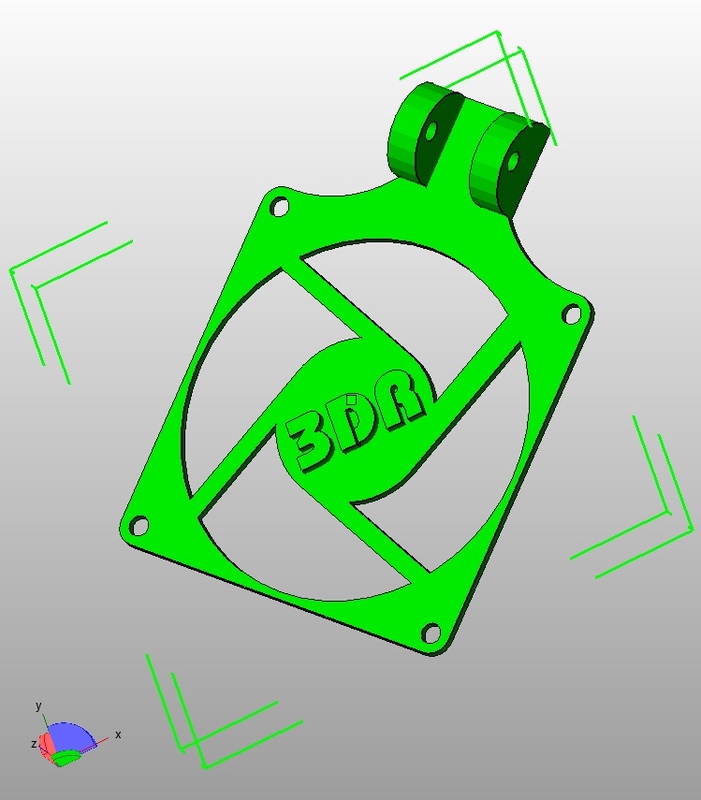 3DR_PLA_Spool_Cover_V2_001_RTP.stl - (optional and experimental) - Print in PLA ! 3DR uses a number of different bolts and nuts, the plan is to rationalize parts so less sizes are required. The bill of materials here is not exact, and will be updated after I build up another 3DR, so take it as a guide, you may find you need a few more nuts, bolts and tie-wraps to complete the build. The main frame supports are using Aluminium 20mm T-slot, but as all they do it strengthen the machine, you could change the design to use wood dowels, bamboo, steel tubes or even angle iron. 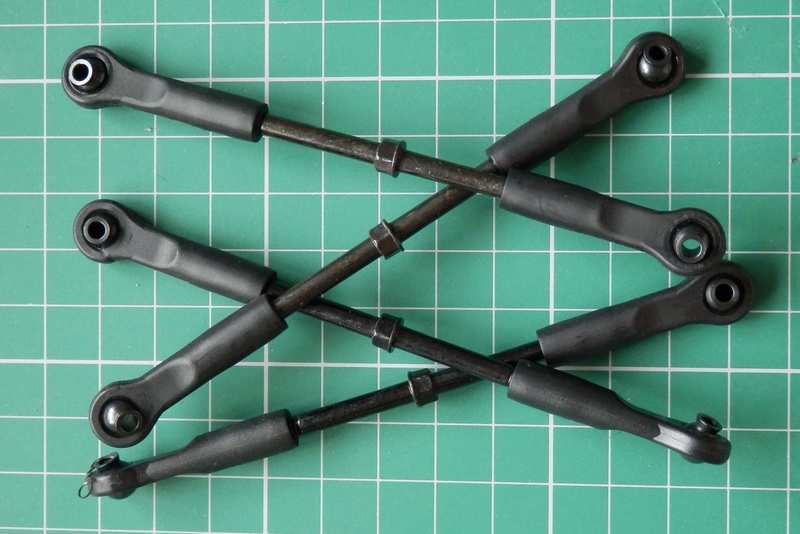 The smooth rods are 6mm in size, I would recommend using stainless steel here. 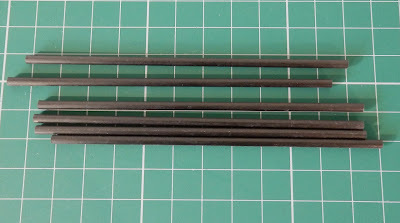 Smooth rods and Aluminium sections share a size ratio, you can build the 3DR almost whatever height you require, you just need to have the Aluminium sections +50mm longer than the 6mm smooth rods. I would not recommend going over 1.0M in height, after that it may be better to change the design to 8mm rods. My 'standard' sized machine seen in the photo's above uses 3 x Aluminium frame sections of 500mm long and 6 x 6mm stainless steel rods 450mm long. 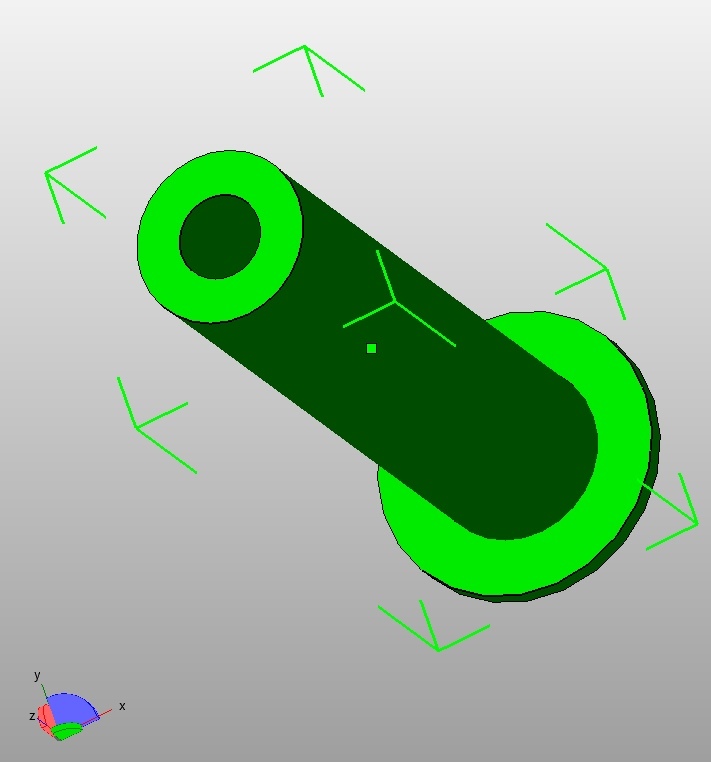 - this also gives a build height of approximately half the length of the smooth rod length. I have also built up a 3DR with 650mm Aluminium sections and 600mm smooth rods without any issues. 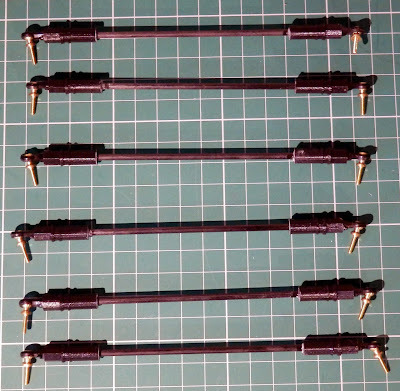 Another key part is the universal joints used for the Delta arms. 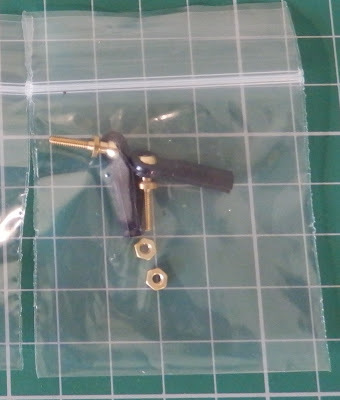 I have used the smallest TRAXX Style joints - they are commonly available in model shops and are used for radio control cars, boats, helicopters as push-rods etc. 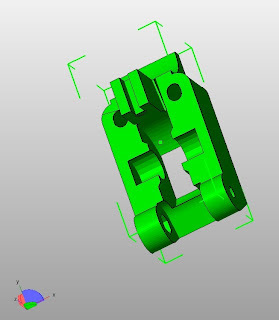 The ones that are ideal for 3DR are using M2 threads and M2 Nuts, if you can only find M3 versions, they should still fit. * EDIT - I thought I had added the link for these, I used the above from KC model accessories (UK) Many other's seem to also be available and should be compatible, if you find one that does not require the printed adapter parts (for example the 3mm carbon fiber rods could be directly inserted) - do let me know. 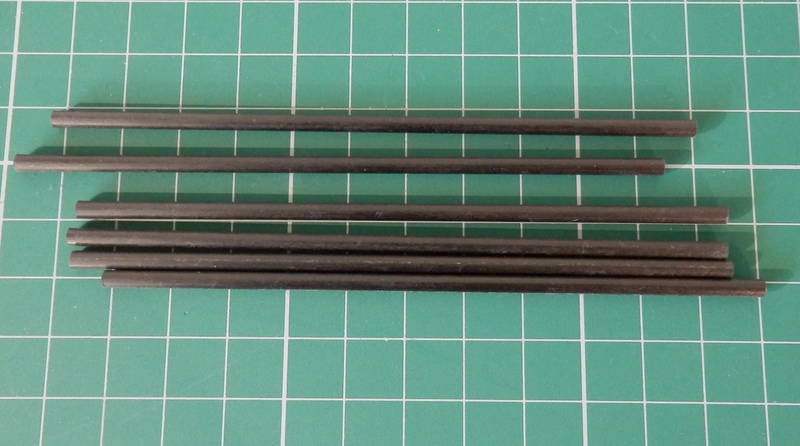 I'm also using standard 3mm carbon fiber rod (used on Kites and models) cut to size (110mm) and rod adapters (x12) to join the universal joints and rods together. 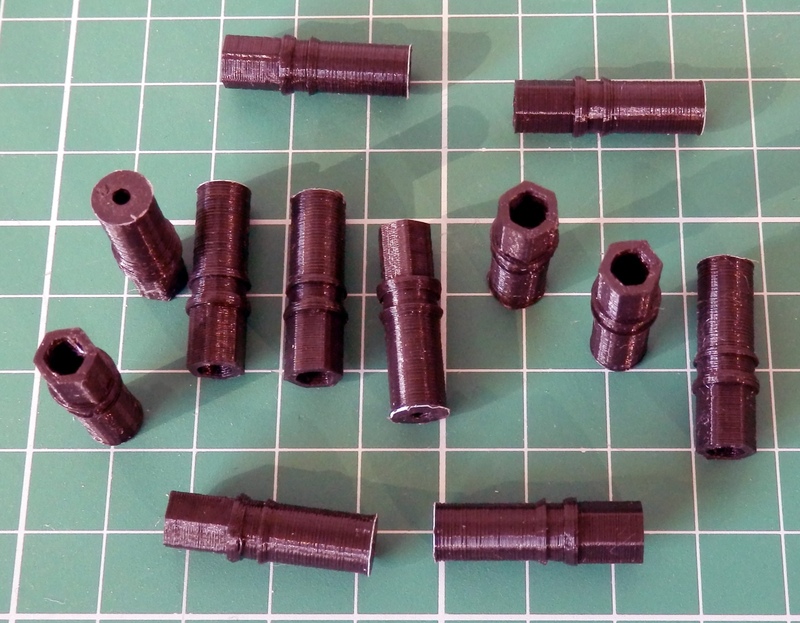 Printed joint and rod adapters. When assembled they look like this. You can buy complete TRAXX Style joints complete with rods that can be set to size and tightened, they often have aluminium or titanium rods. Examples of a ready made TRAXX universal push-rod you can buy with various lengths to use for Delta printer's if you don't want to make your own. 20 x M4 x12mm Socket cap or dome bolts for connecting most of the plastic parts together, and mounting the LCD adapter. 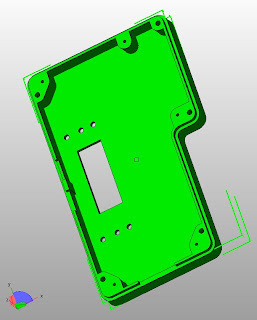 10 x 3mm x 12mm self tapping screws - for the Hall-effect end-stops and LCD case. 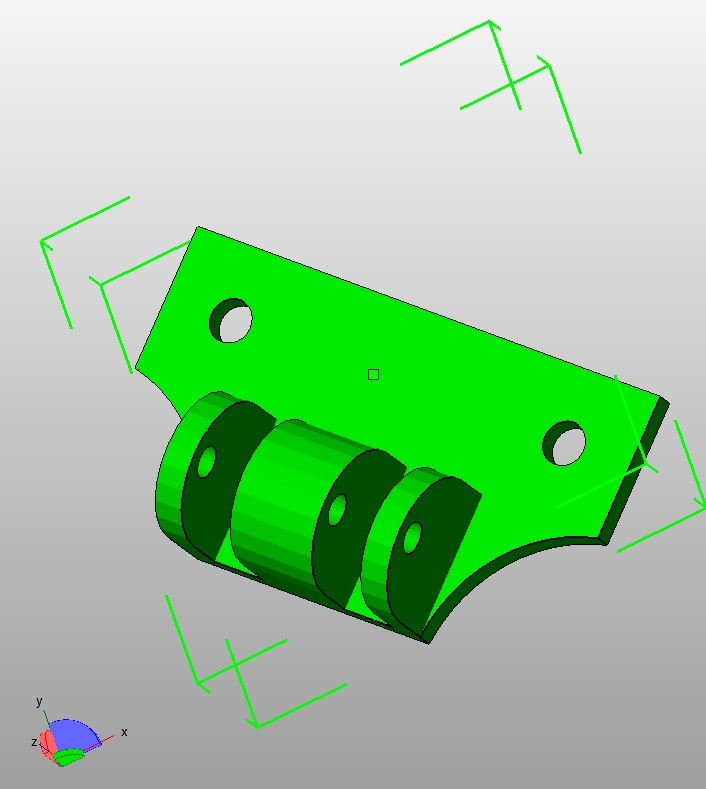 8 x M3 x 20mm Socket cap or dome bolts - for the bed catches and mounting the electronics. 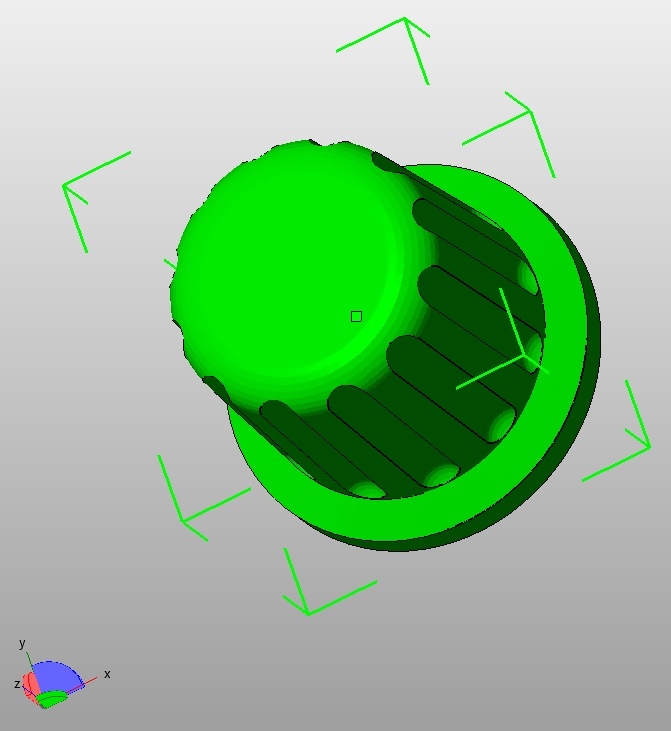 15 x M3 x 10mm Socket cap or dome bolts - for the motor's and extruder. 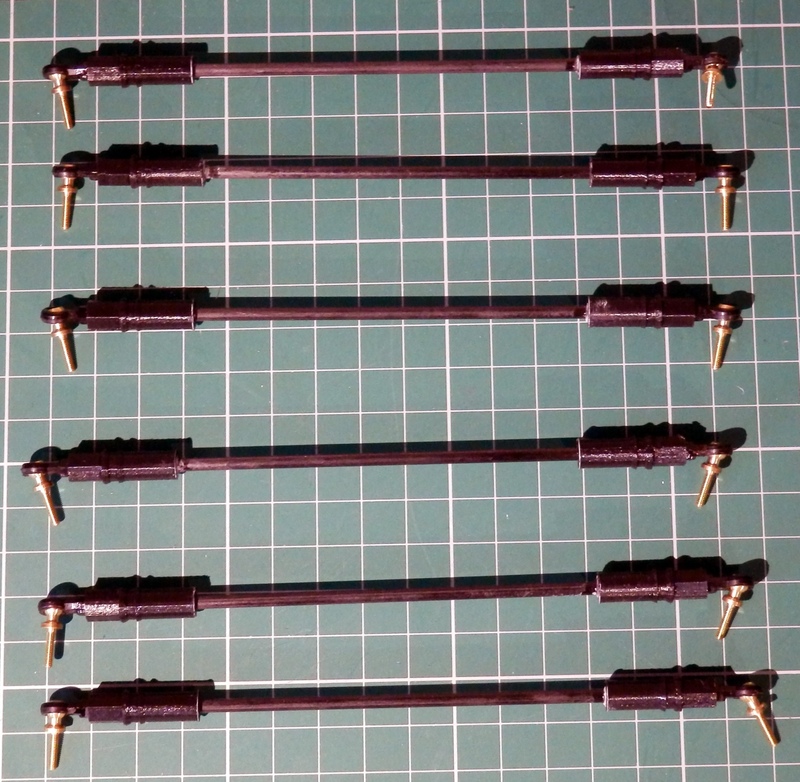 12+ Tie-wraps 3.2mm x 100mm for the carriages LM6UU's and tidy up electronics wiring. 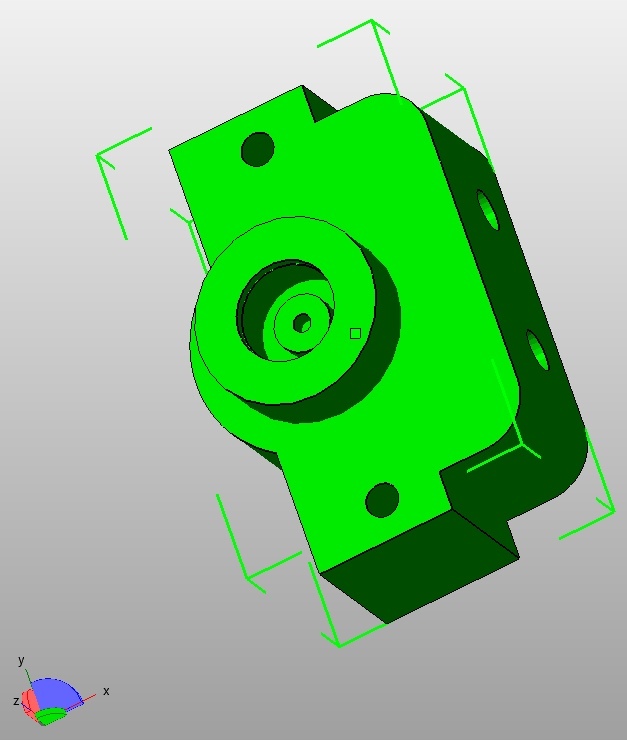 4 x NEMA17 Stepper Motor's - ideally over 1.2M versions (look for 1.7A or 2.5A) max 50mm Long body. You should be able to use NEMA14 motors too, as the mounts are designed to fit both, but I have not yet tried NEMA14's so let me know if you try them out. 1 x RUMBA Electronics (you can use other electronics sets, but 3DR electronic mounts are spaced for RUMBA). Megatronics electronics also fits nicely into the 3DR. RAMPS it a little high but could be made to fit with a small printed adapter. 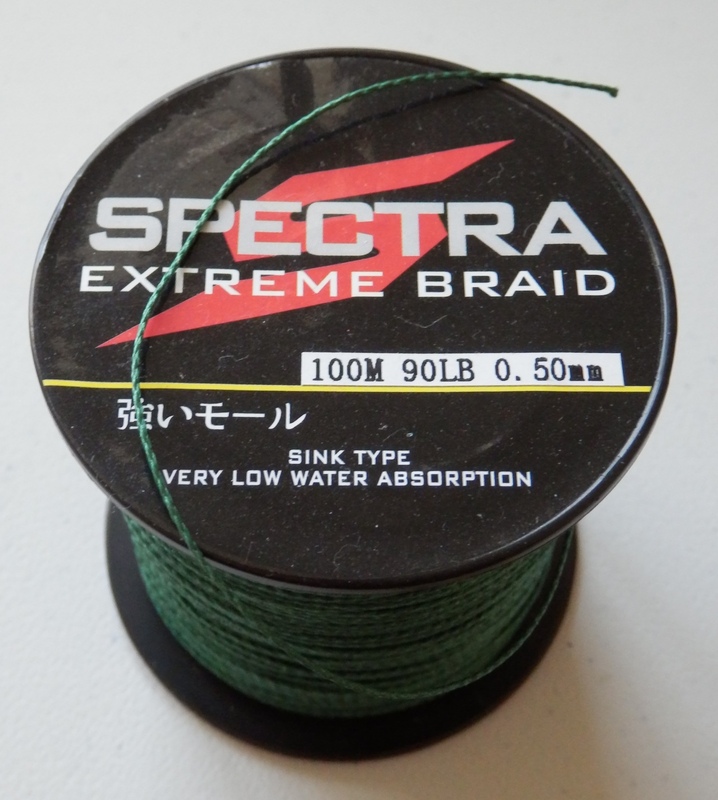 About 6M of Spectra Line 90Lb (0.5mm) fishing line - or other options that are similar. 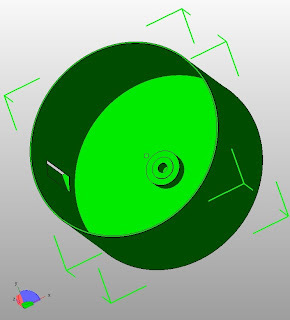 Material for the Build platform, it's a ~170mm circle 3mm thick - ideal materials are Di-bond, Aluminium or Tufnol. - Glass if you can get a round or hexagon shape. Mains cable for your country. 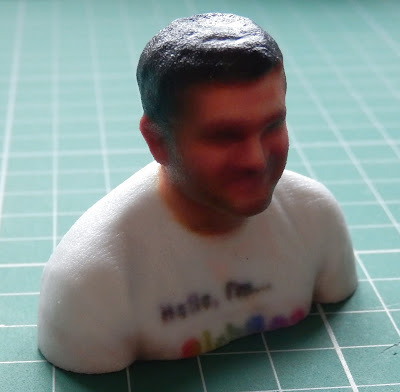 Some 1.75mm PLA or Nylon Filament. Probably some tape, glue, bit of luck and beer / tea / coffee, as you like. 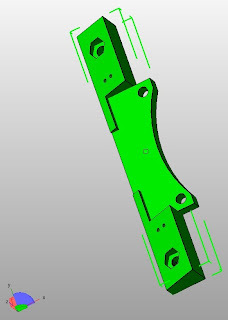 That's Part 1, start printing parts and sourcing bits, I'll see you in Part 2. 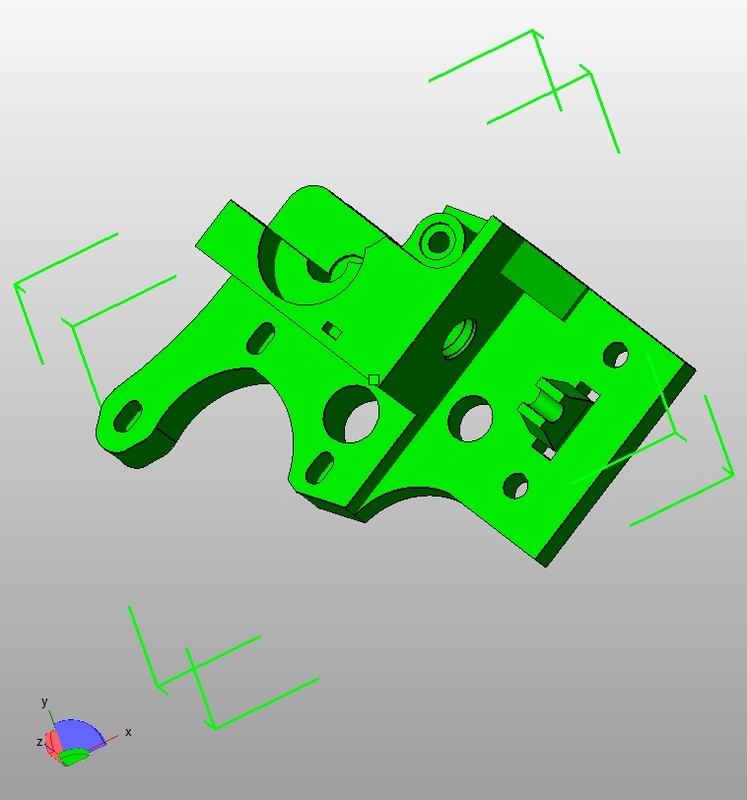 In the next post (Part 2) we will do preparation of the parts, assembly of the main machine and extruder. 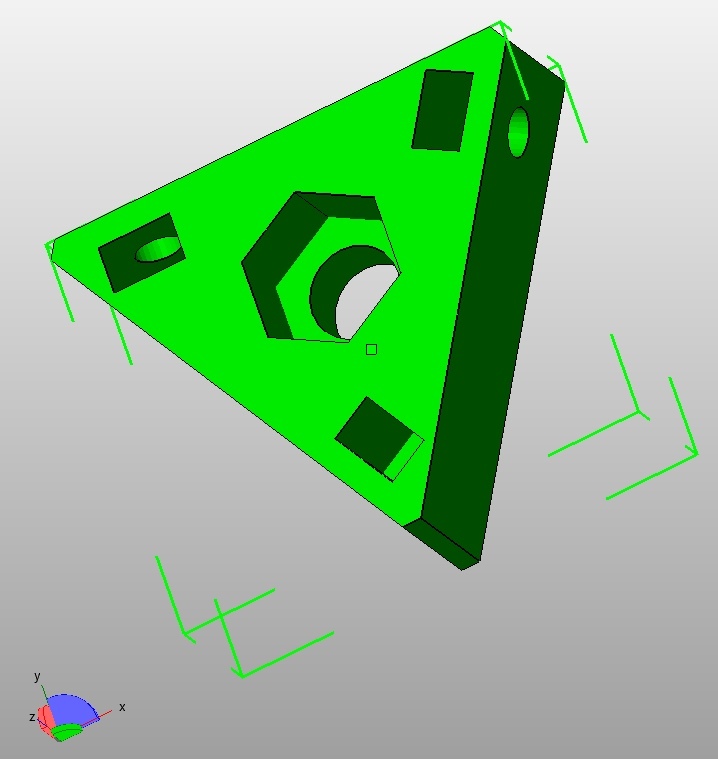 I'm using this machine build to 'celebrate the layers' of our printing progress. Received my pre-ordered Leapmotion the other day, it's working really well, even better than I had imagined. Could be very interesting for virtual 3D modelling at some point in the future - Imagine virtual clay sculpting or pottery wheels! And don't forget, lots of us will be at the TCTShow NEC Birmingham September 25th-26th for a Grand RepRap Community Hub meeting event during the two day show, come and say hello on stand G54. Preparations for the show are well under way, it should be a great RepRap Event! It's free to attend, but you need to register - do that here. Thanks for reading, back again soon, and do let me know what you think of 3DR and if you decide to build one.